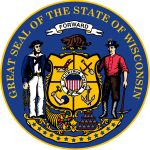 The 2010 United States Senate election in Wisconsin was held on November 2, 2010. Incumbent Democratic U.S. Senator Russ Feingold ran for re-election to a fourth term, but was defeated by Republican challenger Ron Johnson, a businessman and first-time candidate. Former Republican Governor of Wisconsin Tommy Thompson had expressed an interest in challenging Feingold, but ruled himself out of the race in April 2010. Johnson, a millionaire manufacturer and Tea Party movement favorite running for political office for the first time, was the frontrunner. In response to controversy over his ownership of stock in British Petroleum (BP), Johnson said he would sell it when market conditions were favorable and possibly use the proceeds to help finance his Senate campaign. Johnson was endorsed by the national GOP establishment;[vague] the Club for Growth, a fiscally conservative advocacy organization; former Wisconsin Republican Lt. Governor Margaret Farrow; Republican U.S. Senator Jim DeMint of South Carolina; and Wisconsin Republican U.S. Representatives Jim Sensenbrenner, Tom Petri and Paul Ryan. Businessman David Westlake was endorsed by the Republican Liberty Caucus. According to the Center for Responsive Politics, as of August 25, 2010, Johnson had invested $4.3 million of his own money into his campaign; this amount represented 71 percent of his campaign funds, while 27 percent of his campaign funds ($1.6 million) came from individual contributions. Feingold's first television ad was a positive ad released in March. In July 2010, Feingold's second 2010 television election ad attacked Johnson for alleged support for offshore drilling in the Great Lakes. Johnson quickly countered Feingold with a television ad of his own. Feingold's logo was Moving Forward. In one ad, he emphasized independence and called himself a "penny pincher." Johnson argued that manufacturers and accountants were underrepresented in the U.S. Senate, and there were too many lawyers (57 out of 100 members, including Feingold). Feingold received the endorsements of the Milwaukee Journal Sentinel and the Green Bay Press-Gazette. The Beloit Daily News endorsed Johnson. ^ a b "GOP's Ron Johnson announces Senate run while in La Crosse". WKOW. April 15, 2010. Retrieved May 19, 2010. ^ Drake, Bruce (January 28, 2010). "Feingold May Be Vulnerable If Thompson Seeks His Wisconsin Senate Seat". Politics Daily. Retrieved January 28, 2010. ^ "Leinenkugel abruptly exits - David Catanese". Politico.Com. Retrieved June 14, 2010. ^ Giroux, Greg (May 27, 2010). "Wisconsin: Wall Confirms Decision To End Senate Bid - The Eye (CQ Politics)". Blogs.cqpolitics.com. Archived from the original on October 29, 2010. Retrieved June 14, 2010. ^ "Ex-Gov Thompson Being Pushed To Run For Senate". WTAQ. January 26, 2010. Archived from the original on July 18, 2011. Retrieved January 28, 2010. ^ "Thompson tells tea party rally he won't run for U.S. Senate". JS Online. April 15, 2010. Retrieved April 16, 2010. ^ "Attack Ad Puts Feingold Foe On Defensive Over Great Lakes Drilling - The Eye (CQ Politics)". Blogs.cqpolitics.com. July 14, 2010. Archived from the original on July 19, 2010. Retrieved August 21, 2010. ^ "Ron Johnson". Ronjohnsonforsenate.com. Archived from the original on July 24, 2010. Retrieved August 21, 2010. ^ "Ron Johnson". Ronjohnsonforsenate.com. July 12, 2010. Archived from the original on July 27, 2010. Retrieved August 21, 2010. ^ "Endorsed Candidates – 2010 | Republican Liberty Caucus". Rlc.org. Archived from the original on August 13, 2010. Retrieved August 21, 2010. ^ "Real estate developer launches Senate campaign". WQOW. January 20, 2010. Retrieved January 28, 2010. ^ "Johnson Quick to Counterattack Feingold on Oil Ad". WNCT. Archived from the original on July 18, 2010. Retrieved July 15, 2010. ^ "Johnson Leads Polls, Feingold Leads Endorsements". 620 WTMJ. Archived from the original on October 28, 2010. Retrieved October 27, 2010. ^ Ramde, Dinesh (October 12, 2010). Written at Wausau, Wisconsin. "Feingold and Johnson spar over funding of attack ads". Chippewa Herald. Chippewa Falls, Wisconsin. Associated Press. Retrieved June 16, 2016. ^ "Election 2010: Senate Balance Of Power". Rasmussen Reports. Retrieved October 31, 2010. ^ "Summary Reports Search Results - 2009-2010 Cycle". fec.gov. Archived from the original on July 13, 2012. Retrieved July 9, 2011. ^ "2010 Fall General Election" (PDF). State of Wisconsin. December 1, 2010. Retrieved March 30, 2015.